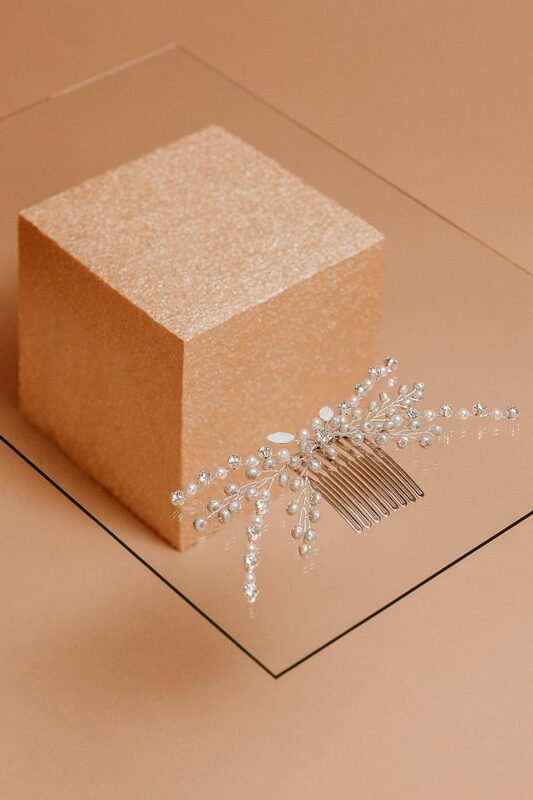 Creating the 4 elements containing Swarovski pearls and crystals into this beautiful comb was definitely a a beautiful challenge. Shell Beads are also used in the piece to complete this nature inspired accessory. The butterfly effect can easily be obtained by styling the comb at the back of the head and letting beautiful curls coming down your back.